In November, I posted a list of Dallas-area agents, coaches, and online casting sites that carry notices of national and regional films, TV shows, and commercial casting calls. This second list of resources for Dallas-area actors and the parents of would-be child actors includes headshot photographers, videographers who shoot demo reels and auditions, and the casting sites for short and student films (great places to get experience on a set and build your resume and demo reel, although most are unpaid) and film/TV extras. If you have a child who is a working child actor — or wants to be a working child actor (and I include teenagers in that category), or if you are an adult starting a career in the film business — the resources I’ve listed in these two blog posts are reliable, safe, credible, and affordable. And that maters a LOT in this business! Always trust referrals from other actors (and their families) a lot more than ads you hear or see elsewhere. This is a screen capture of an audition video that Dallas acting coach Nancy Chartier shot for my 12-year-old grandson Kameron Badgers. Great lighting and a neutral background (or a blue/green screen) are important. Taping auditions isn’t as simple as pointing an iPhone or camera at an actor and sending it in. You need good lighting, the right backdrop, and a videographer who nows how to get the best take on film and edited to show the actor to best advantage. Some people can (and do) self-tape — but I am simply not good enough to inflict my poor camera skills on someone else’s dreams. So we usually pay someone to tape Kameron’s auditions. Here’s a list of videographers recommended by Kameron’s agent, Linda McAlister Talent (no, I am not related to Linda McAlister, although she had her daughter Molly are lovely people I’d be happy to claim as relatives if I could), by the parents of other working child/teen actors in the area, or that we have used ourselves. Our favorite videographers are Todd Jenkins and Nancy Chartier, because my 12-year-old really responds well to both of them, and both of them have gotten amazing performances out of him. Find the videographer that seems to fit your child’s personality best – it will help improve audition tapes immeasurably. We tried several before we found Todd and Nancy, and it made a big difference when we found the ones who “jelled” for Kameron. Recently, when we couldn’t book time with Nancy or Todd, Gordon Smith taped an audition for Kameron, and we liked him a lot, too. In addition to these local photographers, the amazing Del Shores comes to Dallas regularly for day-long demo reel sessions. Shores, the creative genius known for shows like Southern Baptist Sissies, Dharma and Greg and Queer as Folk provides scripts, and films individual actors and groups performing the scenes he’s created. 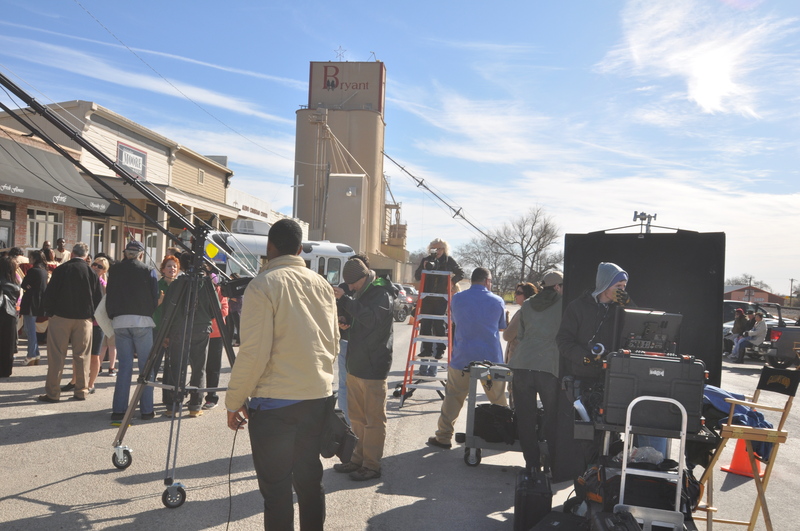 During the day, most actors will film 3-5 individual scenes (comedy and drama) individually, and appear as background extra in several other scenes. Get on Del’s mailing list (via his Facebook page) to get the notice of his next demo reel clinic in Dallas. hair; crop almost to ears but allow some hair to show; bottom of frame at collarbone or mid chest), and a full body shot that shows your body type. Over time, you’ll want to add several gallery photos showing different expressions and ‘looks’ and several good quality on-set photos. A great headshot matters. Recently, a friend sent me a link to some “fabulous headshots” of her niece and asked me to help her submit one to some agents. The pictures, unfortunately, were completely unsuited for use as a headshot. Most of them were highly posed “action shots”, the teen was wearing a ton of make-up that made her look like a beauty pageant contestant, and all except one of the photos relied heavily on props that distracted (or sometimes obscured) the girl’s face. When casting agents look for kids, they want real kids. Girls and boys under 14 shouldn’t wear any make-up at all, and actors of any age should steer clear of hats and overblown costumes that distract from their actual looks. Worse, the family didn’t actually own the rights to any of the photos. They’d paid to have them taken, and the only rights they had were to print them for personal use. You can’t post photos you had taken at a regular photo studio online, or use them as commercial headshots. So hire a photographer who is experienced with headshots for actors (not necessarily for models), and always be clear about what rights you want to buy when you negotiate a price. Try to purchase “all rights” if possible, and give credit to the photographer in any medium you control if they ask for it. Here’s a list of local headshot photographers who are great. We’ve used three of them (Constance Ashley, Todd Jenkins, and Ted Munger) and loved working with them all. Headshots aren’t inexpensive, but they shouldn’t cost a fortune, either. I met a mom who told a truly sad tale of being victimized by a company that (in my opinion) preys on children’s dreams. They’d spent nearly a thousand dollars for poor quality headshots. Headshots — including the pictures, printing enough to last for months, and any retouching required — shouldn’t cost anywhere near a thousand dollars. You can get a fantastic photo shoot with professional photographer that includes everal different “looks” (changes of clothing, backdrops) and multiple poses for less than half of that. If money is an issue (and when isn’t it?) there are several good ways to find bargain headshots in Dallas. “single look” headshot session, with make-up and hair-style help included. You get half-an hour of photography, and all rights to the images, in a studio that would normally cost a lot more. All you’re giving up is multiple wardrobe changes during the session. There were six other actors having headshots done the day we went. We spent about 10 minutes in make-up (a 12-year-old boy doesn’t need much! ), and about 30 minutes with the photographer, and got some excellent photos. The clinic is on the third Sunday afternoon of each month. For dates and scheduling, check out the group’s Facebook page, or contact Leslie Litvik at lonestarcastandcrew@gmail.com – 940-595-3912. Another money-saving option is to hire a photographer like Constance Ashley who charges an hourly fee, and split the cost with others who also need headshots. If you have two or three kids (or two or three actor buddies), paying by the hour can be a real money saver. Again, just because someone isn’t on this list doesn’t mean they aren’t great. It simply means that I haven’t met them yet. If you have the name of a great head shot photographer (yourself or someone you’ve used), please send it to me so I can add them. Extras show up in all kinds of movie & TV scenes. Gallows Road, starring Kevin Sorbo and Ernie Hudson, used extras from age 3 to 74 during filming earlier this year in Aledo, Texas. In Texas, over a dozen major casting agents banded together to create a site called MyCastingFile.com. The site is where they recruit extras for TV shows filmed in Texas like Dallas and Revolution and new shows like next year’s Salvation (starring Ashley Judd), and those like True Blood and Salem that are filmed in Louisiana, too. It’s also where you’ll find paid extra gigs on major movies like Dallas Buyer’s Club, Transformers IV, Gallows Road and dozens of others. You don’t need any experience. You don’t need an agent. You don’t even need a professional headshot. Just go to the site, fill out the form with information about yourself (height, weight, age, special skills) and your willingness to do certain kinds of scenes (you can indicate if you’re comfortable with scenes involving smoking, alcohol, casino gambling, religious imagery, or even whether you’ll work in a horror movie with vampires or zombies). Then you mark the site’s calendar with the days you’re available, and check the site regularly for casting calls you want to answer. ANYONE can sign up, from babies to senior citizens. And there are a surprising number of casting calls looking for “grandparents at a birthday party”, “distinguished-looking older gentlemen” and “women over 60” as well as “cute toddlers”, “15-month old girl” and various roles for kids and teens. Sometimes, they look for groups. I’ve seen casting calls for “cheerleading team”, “real church choir with robes”, and a “wheelchair basketball team”. So if you want to work as a background extra, and you live in Texas or Louisiana, MyCastingFile is a great resource. 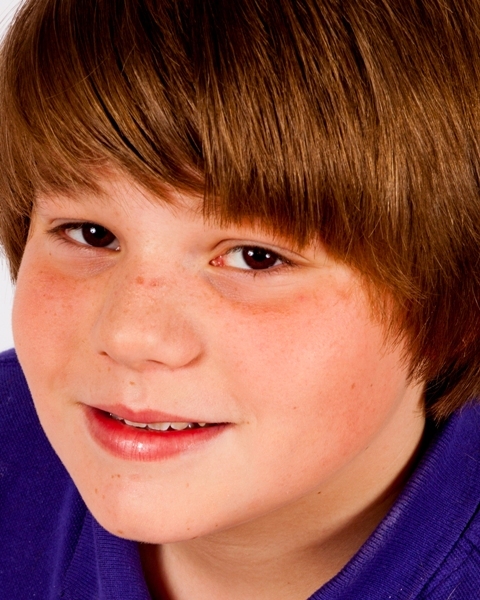 A note about MyCastingFile for parents of child actors. You can’t register a minor unless you register yourself. The child’s account becomes a “child account” on your registration, with separate opportunities, calendar, and casting notices. Just because you register as an extra doesn’t mean you have to accept work as an extra. However, if your child works, you have to be on set, too. So this is one way to get paid at least something for your time. Extras who work in Texas don’t get paid a lot for most crowd scenes. A lot of extra gigs pay minimum wage or a little more. But if you’re picked to be part of a scene where you are more visible, or if you pick up a line or wind up interacting with one of the major characters, the rate will go up. Ditto if you use one of your special skills. Short Film Texas is the place where student films, and low-budget short films (the sort that you see at film festivals and film showcases at art house cinemas) post their needs for cast and crew gigs. Some of them pay money, most do not. So why check a site where they want you to work for free? Because if you’re a beginning actor, there’s no better way to get experience on a real film set — and if you’re looking to master the skills that will land you a gig in the unions that provide crew to Hollywood films, you need experience, too. They post casting calls for nearly every town in the state, and there are always new notices going up. So check it out, and check it often. The national casting sites are listed in the November post. Actors Access, NowCasting, Casting Frontier, and Casting Network are the four national sites that most agents want talent listed with. Registration and a single headshot are free on all four, but there are fees to host a demo reel, and if you self-submit, you’ll pay a small fee for each submission. But when I say there are fees, I’m talking about fees in the $2-15 range — nothing like the thousands of dollars charged by less reputable groups. Gallery | This entry was posted in Acting & Circus and tagged acting, acting scams, CastHub, Casting Hub, headshot photographers Dallas, how to get hired as an extra in Louisiana, how to get work as an extra in Texas, Kameron Badgers, tips for beginning actors, video taped auditions Dallas, videographers Dallas, work as an extra in Dallas. Bookmark the permalink.